Copes Tree Frog is an American frog that spends most of its life on trees. 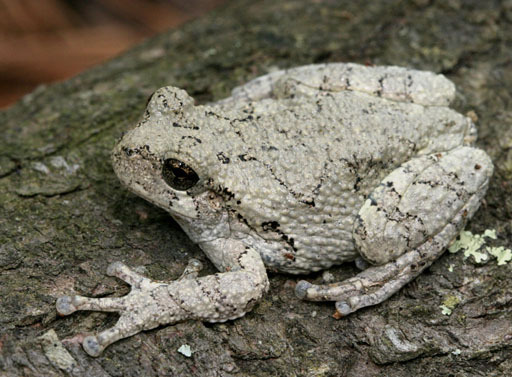 It is often confused with the gray tree frog that shares its habitat, and has almost the same physical features, except that the former is relatively smaller and are more arboreal than the latter. The secretion from their skin is used as defense, and can be toxic to human eyes, mouth and mucus membranes.